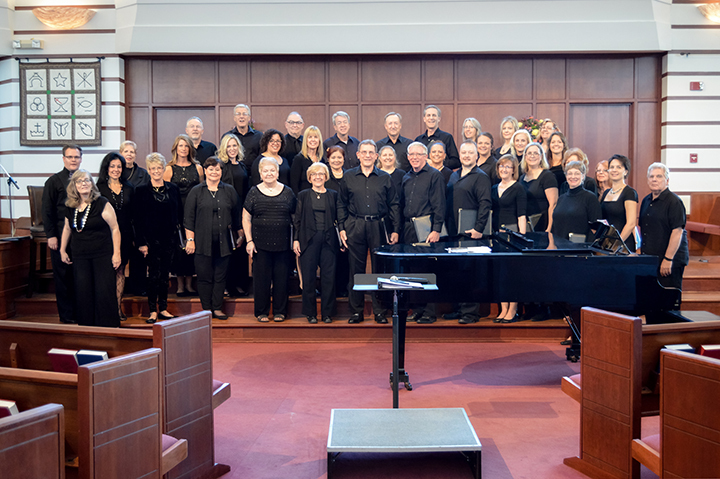 The Fishers Community Chorus is starting to make some noise in its third year, prepping for what company manager Marc Feeney expects to be near a 70-singer membership. Over the past three years, FCC has grown to six times its starting size of 12 members. With more people, Feeney said, the choir can do more things. “Not only does (having more members) open up pieces we can do, but it offers up the flexibility to do other things,” Feeney said, referencing the group’s performance at the City of Fishers Christmas Banquet and caroling at Community Health. “It’s allowed us to do more different performances without losing the voicing. During its first year, FCC sang in a flash mob on the balcony at Hamilton 16 IMAX for the opening of Star Wars episode seven. Members dressed in Star Wars costumes and sang Star Wars tunes during the unsanctioned event. With its recent growth, Feeney plans for the group to do more of that – including caroling around the city or potentially randomly serenading local restaurant guests for Valentine’s Day. Feeney said the group is open to all, not just residents of Fishers. A social gathering will be held at 7 p.m. Aug. 29 at Ji-Eun Lee Music Academy, 10029 E. 126th St. The gathering is free, and Feeney said attendees will participate in various exercises such as discovering their voice range. Membership for the FCC is $75 per season, which allows the group to rent certain venues. The group practices at Ji-Eun Lee Music Academy for free. FCC is a nonprofit under its parent nonprofit, Fishers Music Works. Feeney serves as the vice president of Fishers Music Works. “We are incredibly inclusive, and if there are people on the fence or if they have ever enjoyed singing or who miss that part of their life, who used to be deeply into music and maybe put it in the closet for a while, they know this is a place they can check it out and test drive our choir for a couple of weeks,” he said. Feeney said inclusion may be one of the reasons the group has grown, mentioning some members may know how to read music while others don’t. The season typically mirrors the school year, with the first performance expected to be sometime in November. For FCC video clips, visit fisherschorus.org/videos. When: 7 p.m., Aug. 29. Where: Ji-Eun Lee Music Academy, 10029 E. 126th St., where the choir practices weekly.